SKU: PFD03. 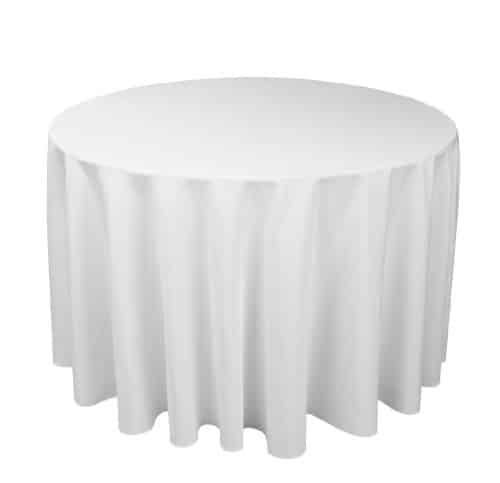 Categories: Party & Event, Linens/Tablecloths, Round Linens. Tags: floor length linen, floor length tablecloth, round linen, round tablecloth. This round tablecloth will go to the floor on a 4′ round table. This linen is available only in white. All of our linen comes to you clean and pressed and the only items which could incur additional charges would be wax, burns, holes, or unusual stains.